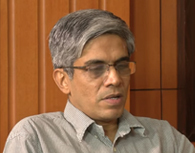 “Institute Chair Professorships” to be Endowed at IIT Madras…. The 2015 IITM Alumni Survey: Getting there, but need your help…. IITM 2015 Survey of Alumni/ Alumnae: Please Participate…. Invite to Participate in a Survey & Nominate an Alum…. A Week of Engaging with Industry & Alumni…..